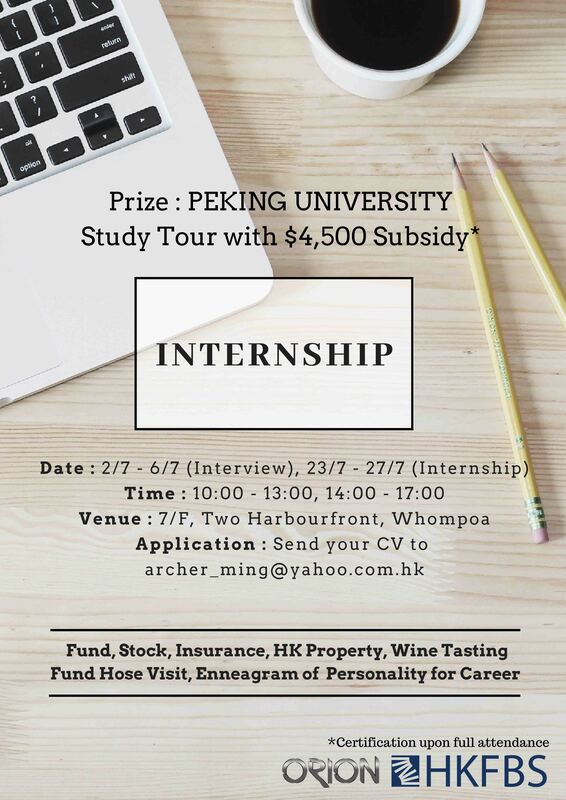 Orion is going to organise a 5-day internship which covers topics including Fund, Stock, Insurance, HK Property, Wine Tasting, Fund House Visit, and the Enneagram of Personality for Career. A business case competition will also be held during the internship. The winning team will be sponsored to join a study tour to Peaking University.